Anodized aluminum, a great idea! 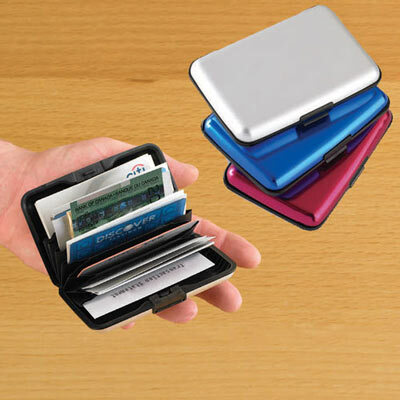 Ultra slim, lightwieght wallet is durable and waterproof. It protects your cash and ID, and it shields your credit cards from RFID scanning. Snaps closed securely. 3½" x 4".